So I recently filed my income taxes online like I do every year. It's a bit early, but I had all the documents and some free time so I did it. The thing is, the system is so complex and ridiculous. Using an online form is not difficult because you just plug in your numbers, but what is ridiculous is all the deductions and exceptions that are involved. There is so much room for error and estimation. Heck, you can't even put in exact numbers to the cent; they make you round it to the nearest dollar. Here is a question. Why don't employers submit their employee's earnings? This would be direct and most logical. Instead they send a form to the employee and then they have to report their own earnings. I'm not objecting to the effort it takes to report your earnings, I just don't see why they are leaving it up to the employee. It's like adding an extra step that is unnecessary. I understand that if you are self employed, you would have to report your own earnings, but if you work for a company, they should report it for you. Well you ask, what about all the other stuff you have to include like deductions? Here's the thing, there shouldn't be deductions. 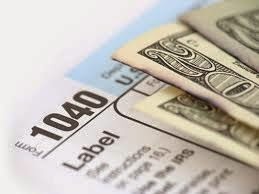 Income tax should be solely a percent taken from the amount you earn in a year. Simple as that. Take how ever much you earn and pay the established percentage in the form of tax. Like I said before, it is ridiculous how many options and exceptions there are that will alter how much you have to pay on taxes. It's so inexact. Some people are going to end up paying more than they should because they don't know which deductions they can take, and others who know a lot about it are probably going to end up paying less than they should. And there is no way the IRS can monitor all these hundreds of options and elements that make up the tax forms because there are so many. Yes they can do thorough checks with audits, but if they can't do thorough checks on every submission, well then it is just not good enough. That is why the system has to change. The income tax system needs to get a lot more streamlined and simple. Get rid of all the hundreds of deductions. Get rid of all these odd exceptions and alterations. Set the percent that must be paid and then take that percent from however much the individual has earned. Why does it have to be more complicated than that?